Escaping winter to find gold in Gran Canaria - Outside is free! Given the fact that we live in Switzerland we are pretty spoiled with epic singletrails. What’s missing in Switzerland is an ocean, tough. Both of us like water and love some sort of water sport (surfing or kite surfing). End of November 2015 there was something else missing in Switzerland that should be there: Snow. Not enough snow to go freeriding, the urge for outdoorsports, the love for the ocean and 2 weeks holidays made us thinking about heading somewhere where we could get some more time on our bikes as well as some time in the water – and if possible it should be warm. Cheap flights and the word of Jimmy convinced us finally to head to Gran Canaria. We did search for shuttle options and trails in general beforehand but didn’t find a lot. But well, there was the word of Jimmy and we took it for granted. 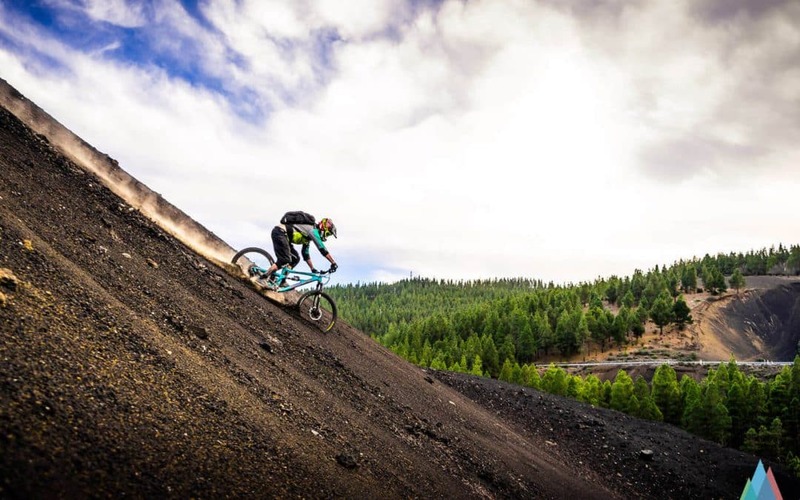 What we found in Gran Canaria was way beyond our expectations and we can truly recommend that Island to everyone that likes dry, technical terrain – it’s the perfect winter hideout and training ground (for both mountainbiking as well as road biking). Sunsets in Gran Canaria .. Most of the long rides we discovered (or got shown by Eduardo) started at Pico de las nieves, the highest point on the island. Depending on which direction you start the descent you either are greeted by a couple of rockgardens or a flowy descent over small, loose rocks – both ways are equally fun. The trails were in general in amazing shape and in contrary to early / late season bike destinations in Europe erosion wasn’t a thing. Most of the trails felt as if never ever a biker rode there (and I know this is not true, but the feeling was still great). Obviously one of the reasons was that some parts of it were just stones, lava stones or some other sort of ground that will not suffer a lot under erosion or bikes in general. 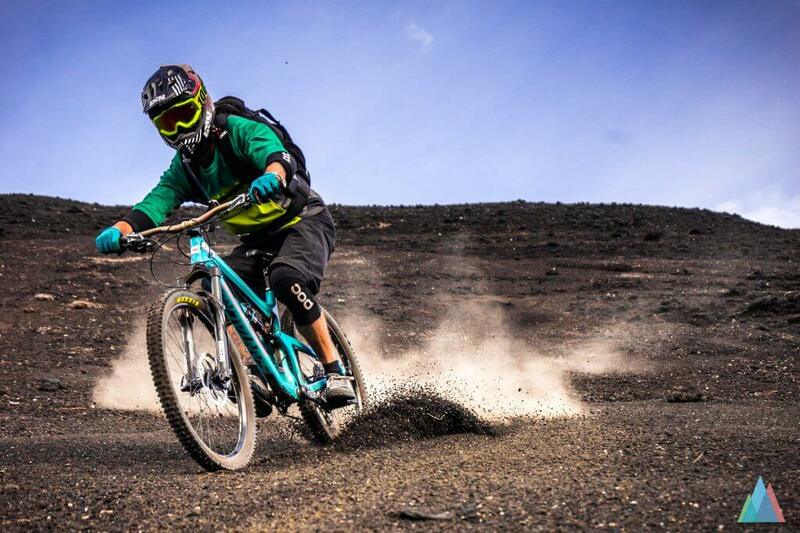 But there is more in Gran Canaria than just riding over stones – the variety of trails is huge. One particular reason why we liked it so much was that – when starting on Pico de las nieves – the vegetation and therefore the trail itself – changed like 6 times on one downhill. From loose lava rocks to ancient stone roads that tend to be more like a rockgarden to loamy eucalyptus forests ground to tight, green switchbacks to pine tree forests. And always fun, and untouched, and warm. In december. We really don’t understand why there aren’t more people riding their bikes (except roadbikes, which seems to be huge on Gran Canaria). If you like real enduro action – then you need to go to Arucas! The small hill near the city offers a lot of different styles of singletrail. In the beginning every trail ends up being super fast due to it’s flat and dusty terrain, then they split up to different downhill sections. You can choose if you like it more steep or more flowy but in the end it all leads to real rocky and technical downhill sections till the end of the decent. Arucas seemed like the perfect training ground if you were preparing for Enduro races – some of the trails are probably better suited for a downhill bike but are a great option for the 160mm enduro / all-mountain bike, too. We loved it riding there because when riding Arucas you end up riding in stages. Since the trails aren’t super long but there is tons of options. Additionally, there is a nice road that gets you up at the beginning of this little trail center. If you fancy an enduro race, there is one every spring: Enduro Ciudad de Arucas. We only rode once on unmarked trails. A first for me but a great experience. I guess if you search for it there might be huge potential on Gran Canaria. After some time on the island, we got to know Himar. He now owns a shop and operates a shuttle company with one bus and trailer. Besides the shuttle company he knows pretty much any trail and guide on the island. Therefore I think he is a good starting point when riding in Gran Canaria. A guide we came to know and can fully recommend is Eduardo, contact him on FB too if you need some guidance on the huge trail system in Gran Canaria. It really is worth to ride with a guide! Compared to famous off season riding destinations such as Finale Ligure or even Las Palmas, Gran Canaria only lacks shuttle options. We were surprised how good the riding was and how few fellow bikers we’ve met. It feels a bit like Finale must have felt 10 years ago. Charming villages, amazing seafood, good wine, cheap living and tons of high-quality trails that never heard of erosion. It definitely wasn’t the last time we’ve been biking on that island. But maybe next time we will succeed in not only enjoy the trails but also get some quality time in the water (the waves are supposed to be amazing too..). We only recommend people we know and have been riding with. Which was not the case. But you can add it yourself in the comment section. 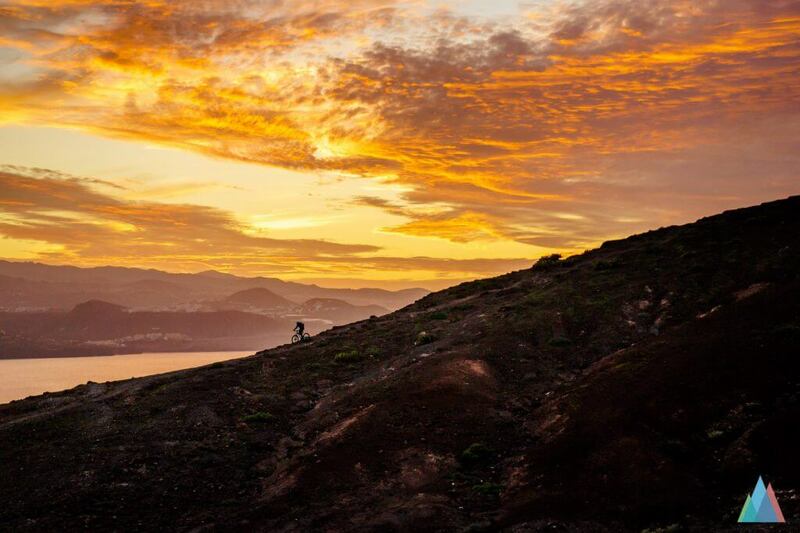 The pictures are breath taking under the Freeriding article, is that you or your team mates in MTB? The mountain trails are really amazing. Keep posting I really enjoy it reading. Hey! Thanks for the comment. Gran Canaria Trails are epic, I guess we will be back at some point.